Ownership / Access: Earls of Moray. 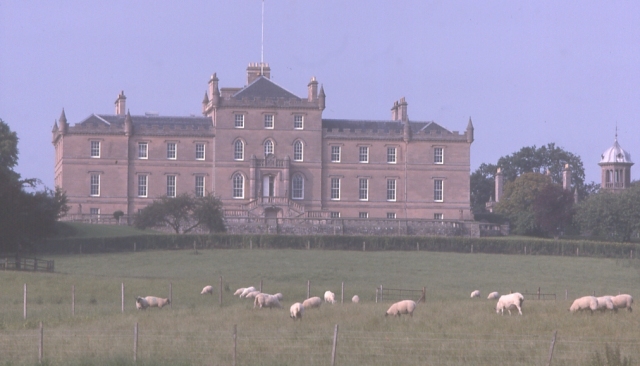 Notes: Darnaway Castle, also known as Tarnaway Castle, is located in Darnaway Forest, 3 miles (4.8 km) southwest of Forres in Moray, Scotland. This was Comyn land, given to Thomas Randolph along with the Earldom of Moray by King Robert I. The castle has remained the seat of the Earls of Moray ever since. Rebuilt in 1810, it retains the old banqueting hall, capable of accommodating 1,000 men.